The River Severn provides a focus for this walk which starts from the attractive town of Tewkesbury with its wonderful Abbey. 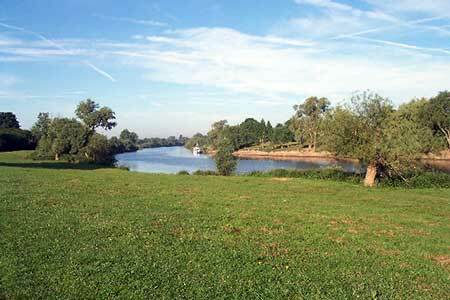 The outward route follows the Severn Way following the river to reach Apperley. Here the walk turns inland and continues across fields to Deerhurst and back to the start. The walk also offers good views to the Malvern Hills which line the western skyline. A GPX File is available for download (see walk description).